One day you might have the responsibility of organizing a fundraiser for your school. What will you choose to do? Some school districts don’t allow bake sales because of the rise of food allergies and childhood obesity. Those that do, tend to offer options that are not always the healthiest. Baked goods, soda, fried foods, and candy might bring in the money, but they will also pack on the pounds. Considering the many students that do have food related allergies and those who are overweight; are there any options for fundraising that might just be healthier? 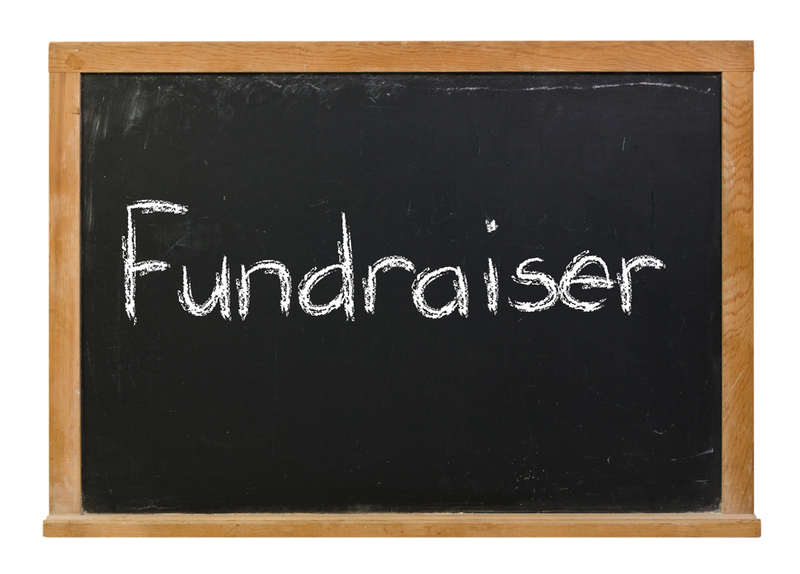 Sure you can hold a race, field day events or faculty versus student’s competitions, but how about some ideas for healthy bake sales and other unique fundraising options? For sure, many attendees probably won’t grab the fresh salad option over a plate of cupcakes, or bag of carrots over candy bars. Then what are you to do? Here are some other options that might still bring in the money and keep people feeling good. 1. Fit & Fresh website showcases their various lunch bags and portion control containers to help get people healthy. The colorful designs are appropriate for adults and children alike. Many have already jumped on the portion-control train because containers help people prepare their healthy meals in advance, allowing them to eat just the right amount. Fit & Fresh has a great fundraising program. Learn more here. You can even combine this event with a fresh fruit sale. 2. Hold a fresh fruit and vegetable fundraiser. Check out sites like Pee Jay’s Fresh Fruit and Farm Fresh Fundraisers for ideas. You might want to look into partnering with a local farm or CSA and create your own fundraising program together. Address life-threatening allergic reaction prevention in all classrooms, food services/cafeterias, classroom projects, crafts, outdoor activity areas, on school buses, during field trips, before- and after-school activities and in all instructional areas. Adapt curriculum, awards, rewards or prizes by substituting allergen-free food or non food item(s) in rooms where students having Emergency Action Plan (EAP) are or may be present. Limit food related to fundraising, birthday celebrations, PTA functions to cafeteria or another designated areas. Incorporate non-allergenic foods or non-food items. Avoid the use of food products as displays or components of displays in hallways. Develop protocols for appropriate cleaning methods following events held at the school that involve food. Determine who should be familiar with the student’s 504 Plan and/or Individual Health Care Plan. 1. For assemblies, consider “The Brain Show.” The Brain Showsm is taking the country by storm. This interactive game show, which is a big hit with all ages, offers authentic fun and excitement of a real live TV game show including colorful podiums featuring computerized lights and sounds. Consider having the PTA or PTO sponsor this fun, age appropriate event and invite the community to purchase tickets. They even take their show outside of the classroom and offer customized programs for corporate groups and more. They are currently booking into next year and beyond, so add them to your calendar as soon as you can. 2. Consider activities that require progress and patience over time, such as planting and gardening. That activity can be relaxing for you and for your students. Be open to the idea of taking a chance on something new, and tracking results. Classes may even sell plants, seeds and other gardening items for fundraisers. Check out Plants For Profits and High Mowing Organic Seeds for ideas. 3. Auctions-I’ve had the pleasure of hosting a few silent auctions for an organization that greatly benefits from the help of volunteers. Each holiday, we seek out items donated by other organizations, so we can raise money for scholarships. It does involve some legwork, but most organizations like museums, movie and entertainment venues, bookshops and more are willing to donate items. Sometimes larger organizations, such as car dealers, hotels and airlines, are willing to share a large ticket item with you. It usually just requires a simple explanation of the event and letter written weeks in advance of an event. Donors should reveal the value of the prize with you and instructions on obtaining the item as well as time frame, especially if it is a season pass or has a time restricted use by date. Then, you just have to instruct the auction winner how to obtain it. For more on how to run a successful auction, check out this presentation from Wikihow. What are some of your healthier and unique fundraising activities that you may consider as the year closes out or as you are planning activities for next year? Tell us at TeacherCents.